NARA, Japan - A unique art piece featuring a telephone box filled with water and dozens of goldfish will be removed from in front of a coffee shop in western Japan after a plagiarism accusation, the local body managing the property said Wednesday. The telephone box in Yamatokoriyama in Nara Prefecture "resembles one of my pieces," Nobuki Yamamoto, a modern artist from Iwaki in northeastern Japan's Fukushima Prefecture, told a press conference in the Nara city the same day. Yamatokoriyama is known for its abundance of goldfish farms and as host of a nationwide goldfish scooping competition, a popular event in summer festivals in Japanese communities. The telephone box there was first installed in 2013. 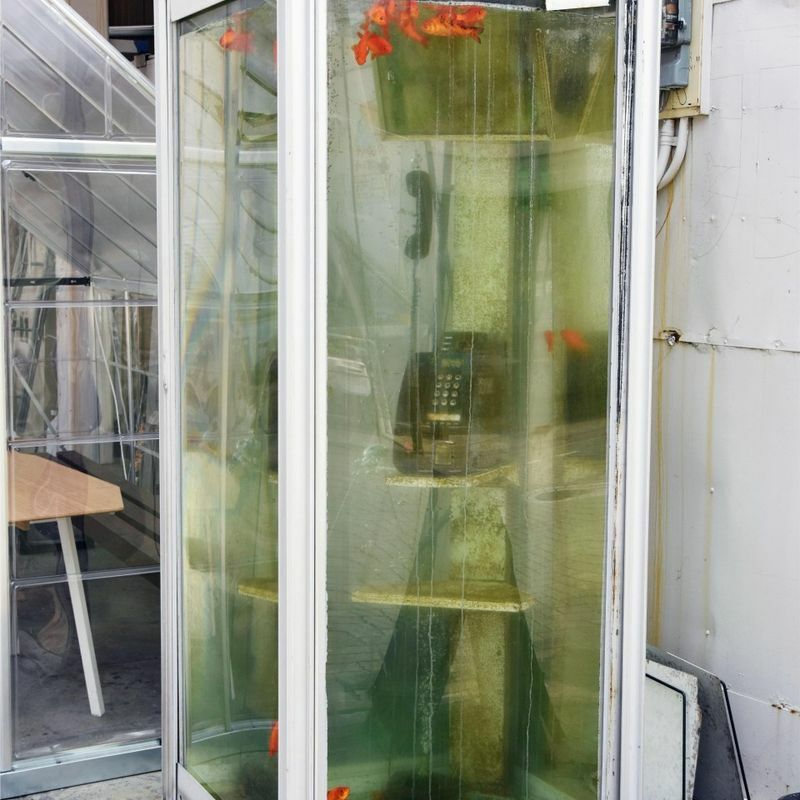 But Yamamoto, 62, said he created a similar telephone box in which goldfish swam in 1998 in Tokyo. The artist has lodged protests since 2013 and said he would also consider filing a lawsuit to confirm he has copyright over the art piece. The union that manages buildings in the street in which the telephone box is located said it has decided to remove the object in consideration of copyright issues.